Jeffery Amherst was born on 29th January 1717 in Riverhead. He was the second eldest of eight children born to a barrister of Grays Inn who could trace his ancestral line back to the Thirteenth Century. At an early age Jeffery was employed as a page to the Duke of Dorset whose family seat was at that time at Knole House. When only 14 years old he obtained a commission as an Ensign in the Guards, no doubt a position secured by the influence of the then Duke. He was assigned to General Ligonier during the War of The Austrian Succession and saw action in the battles of both Dettingen and Fontenoy. He was then transferred to the Duke of Cumberland’s Staff where, after the battles of Roucoux and Laffeldt, he was promoted to the position as His Royal Highness’s aide-de-camp at Hastenback. He gained rapid promotion becoming in 1756 a Lieutenant Colonel in the Fifteenth Regiment of Foot. Impressed with his undoubted military acumen, William Pitt, the then Prime Minister, promoted Amherst in 1758 to the rank of Major-General and Commander-in-Chief of the British expedition charged with engaging and defeating the French armies in North America under the command of General Montcalm. His successes in what history was to call the Seven Years War were legion and remain commemorated to this day on an Obelisk that was erected in 1768 on the higher ground of Montreal Park, the name Amherst gave to his estate after his finest triumph, the capture of Montreal on 8th September 1760. Amherst’s achievements were recognised on both sides of the Atlantic. He was made a Knight of the Order of the Bath in 1761 and at the same time lauded by the then Mayor of New York who proclaimed future generations of Americans ‘will not cease to Bless the name of Amherst’. This was to be sorely tested but a few years later when the colonists took up arms in the War of Independence against the Mother Country. For a short period Amherst became Governor of Virginia but he declined the command of the British Forces on the grounds that he ‘could not bring himself to fight against the Colonists to whom he had been so much obliged.’ This refusal earned him both the gratitude and respect of the American people and there are as a result today no fewer than three towns and colleges in New England alone named after Jeffery Amherst. He served for 27 years from 1770 as Governor of Guernsey, essentially an honorary position. Made a Privy Councillor in 1772 he was elevated to the peerage on 20th May 1776 taking the title of Baron Amherst of Holmesdale Kent. He assumed the position of Commander-in-Chief of H.M. Land Forces in the years 1778-1782 and again in 1793-1795. He received his baton as Field Marshal in 1796 and died without issue in his eighty-first year on 3rd August 1797. The problem of a lack of heir on the continuation of the peerage had been ingeniously resolved in 1788 with the King ‘granting a Remainder’ to Jeffery’s nephew, William Pitt Amherst, and re-styling the Title Amherst of Montreal, Kent. On Jeffery’s death, the first barony expired but the second then devolved, according to the limitation of the patent, upon his nephew. Elevation to an Earldom came in 1826 and there were to be in total five Earls. 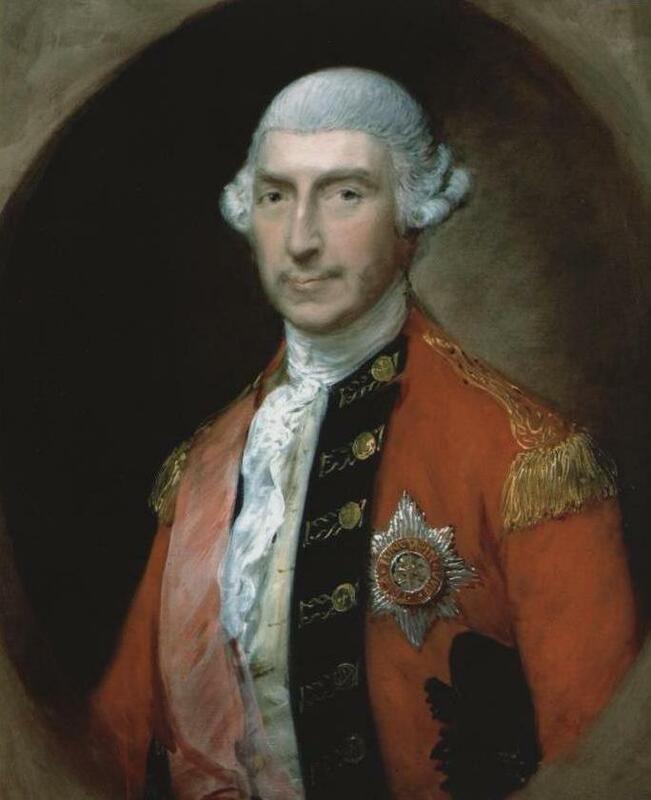 Jeffery was buried alongside the bodies of his two brothers, Admiral John Amherst and Lieutenant-General William Amherst, in the family vault in those days in the crypt of St Nicholas Church, Sevenoaks. As for the Obelisk, this was the inspiration of the said William, the youngest of the three brothers, all of whom had served in the North American campaign. He persuaded Jeffery to erect a monument to commemorate the fact that all three came out of the War unscathed. To commemorate the providential and happy meeting of three brothers on this their Paternal ground on 25 January 1761 after a six years glorious war in which the three were successfully engaged in various climes, seasons and services. Dedicated to that most able Statesman during whose Administration Cape Breton and Canada were conquered and from whose influence the British Arms derived a Degree of Lustre unparalleled in past ages. The Obelisk resides in the grounds of what is now Number 81 Marlborough Crescent. Thanks to grants from the English Heritage and Kent County Council, the Montreal Park Residents' Association has been able to arrange for much needed repair work to be undertaken, starting in April 2008.